I guess there's a strike on. Duncan and Smudge have been on a diet, but this trend started waaaaay before that. Duncan and Smudge are if nothing, excellent measurers. 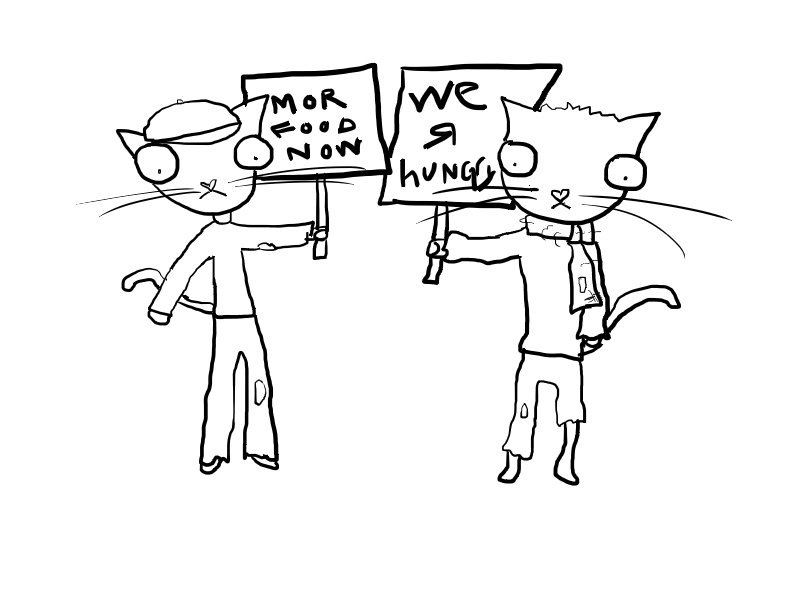 They can tell if they have been fed less than a desirable amount and are quick to protest. Tonight I gave them half a can of Fancy Feast instead of the typical one can each, thinking that they could get a second helping before bed. But their little sense of measurement took charge and a protest was quickly organized. Funny! So glad I found this! My wonderful kitty is laying right beside me quietly sleeping away. She is on my blog….hope you will stop by sometime! Yay! Glad you are enjoying the blog. I’ll stop by yours, too!